The Maurice R. Greenberg Chair was established in 1997 by contributions from his friends and colleagues in recognition of his commitment to developing new ideas for U.S. foreign policy and his outstanding leadership of the Council on Foreign Relations. The vice president and director of Studies holds the Maurice R. Greenberg Chair. The director of Studies is the person directly responsible for the substantive content and management of the David Rockefeller Studies Program, CFR’s think tank. Maurice R. Greenberg has been a member of the Council on Foreign Relations since 1977 and currently serves as honorary vice chairman. He is chairman and chief executive officer (CEO) of C.V. Starr & Co. Inc. Greenberg retired as chairman and CEO of American International Group (AIG) in March 2005. AIG was created by C.V. Starr & Co., Inc., and under Greenberg’s leadership, AIG became the largest insurance and financial services company in the world. He serves on the President’s Council on International Activities of Yale University and is vice chairman of the National Committee on United States-China Relations. He is a past chairman and director of the Federal Reserve Bank of New York and is active on the boards of many other civic and charitable organizations working in the United States and Asia. 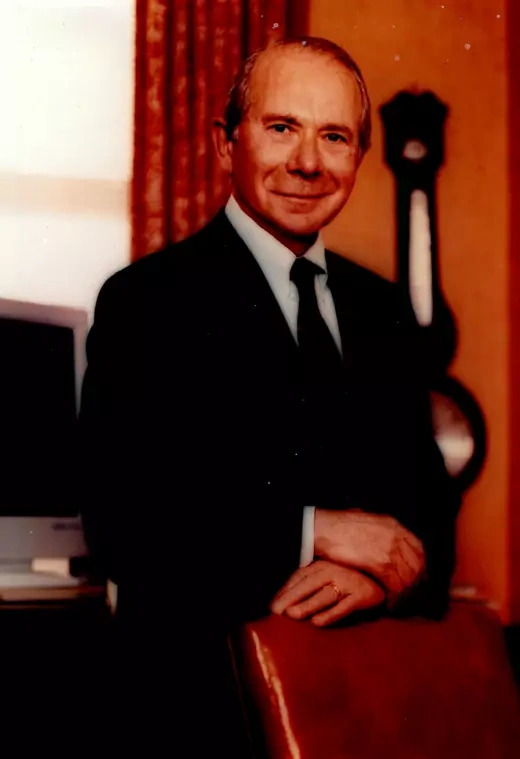 In 1990, Greenberg was appointed by Zhu Rongji, then mayor of Shanghai, to be the first chairman of the International Business Leaders’ Advisory Council for the Mayor of Shanghai. In 1994, Greenberg was appointed senior economic advisor to the Beijing municipal government. He was awarded the title Honorary Citizen of Shanghai in 1997. He serves on the advisory board of the Tsinghua School of Economics and Management, the International Advisory Council of the China Development Research Foundation, and the China Development Bank. On June 6, 2014, at the seventieth anniversary celebration of D-Day at the Statue of Liberty in New York, Greenberg was awarded the French Ordre National de la Légion d’Honneur for his service during World War II. He is also the recipient of the Bronze Star Medal from the United States. Greenberg received his pre-law certificate from the University of Miami and his LLB from New York Law School in 1950 and has been granted honorary degrees from a number of universities.